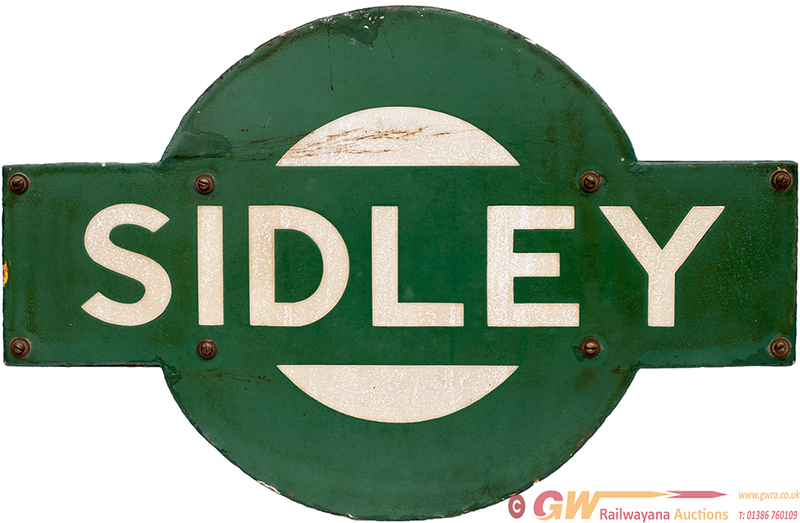 Southern Railway enamel target SIDLEY from the former SECR station between Crowhurst and Bexhill. In good condition with a few small areas of restoration and still on original backboard. Measures 20in long. A rare target.